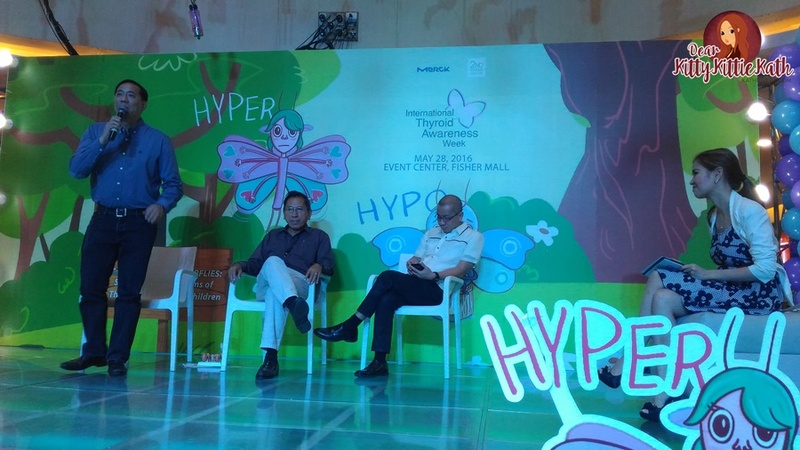 It's alarming that millions of Filipinos are affected by thyroid disorders, yet very few are aware of them. Here's a short story why I know some important facts on thyroid disorder. Exactly six years ago, a small ball-like mass was seen by my sister-in-law moving up and down while I was drinking water. She's so shocked that day and asked me to swallow even if there's nothing to swallow. She told me that the mass was not obvious until that day where she noticed something moving in the center of my neck. I'm calm after hearing those words but so worried that I've inherited something from my mother- goiter. I did not waste my time and went for a check-up. Went to an ENT specialist (Ears, Nose, Throat) for the first check-up to be exact. A study by the Philippine Society for Endocrinology, Diabetes and Metabolism in 2012 showed that one in 11 Filipino adults has goiter, and around one in 12 Filipino adults suffers from some form of thyroid disease. Around 8 in every 1000 children worldwide are affected by thyroid disease but only a handful get properly diagnosed and treated. So it's not only alarming for adults but also for the little ones. 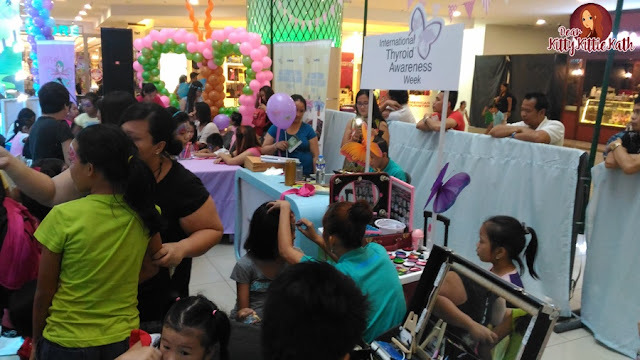 Merck Inc. and ETC 2nd Avenue collaborated for the International Thyroid Awareness Week Celebration by hosting a culminating event called “Catching Butterflies: Spotting the Symptoms of Thyroid Disorders in Children.” It was held at Fisher Mall Event Center last May 28, 2016 in order to increase the awareness of the thyroid and the disorders that can affect children and adults. The butterfly theme was chosen to represent the thyroid, which is a butterfly shaped organ found at the base of our necks. It was an educational and fun-filled event. The awareness campaign showed that thyroid disorders are treatable with early screening and proper treatment. 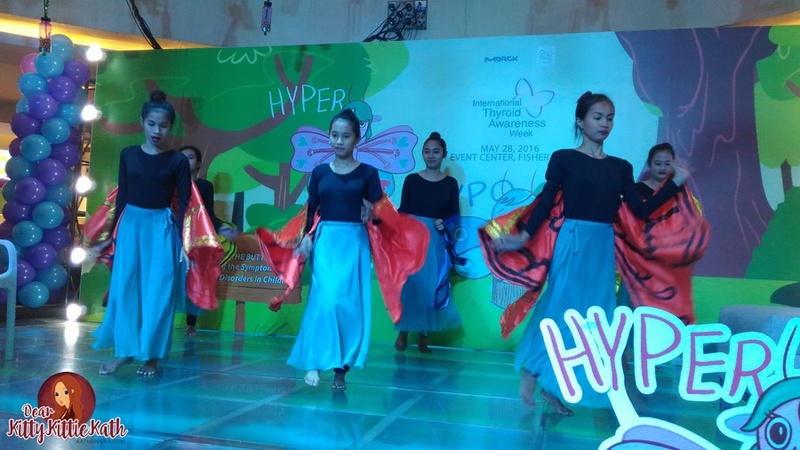 Parents need to be aware on thyroid problem and disorders. The very reason for this lies on the problem that if thyroid hormone imbalances are left undiagnosed and untreated, they can have harmful effect on a child’s brain development, growth and physical maturity. 1. What is thyroid? Why it is important? 2. What are the symptoms of hypothyroidism? What is the difference between hyperthyroidism? 3. How do we diagnose thyroid disorders? 4. 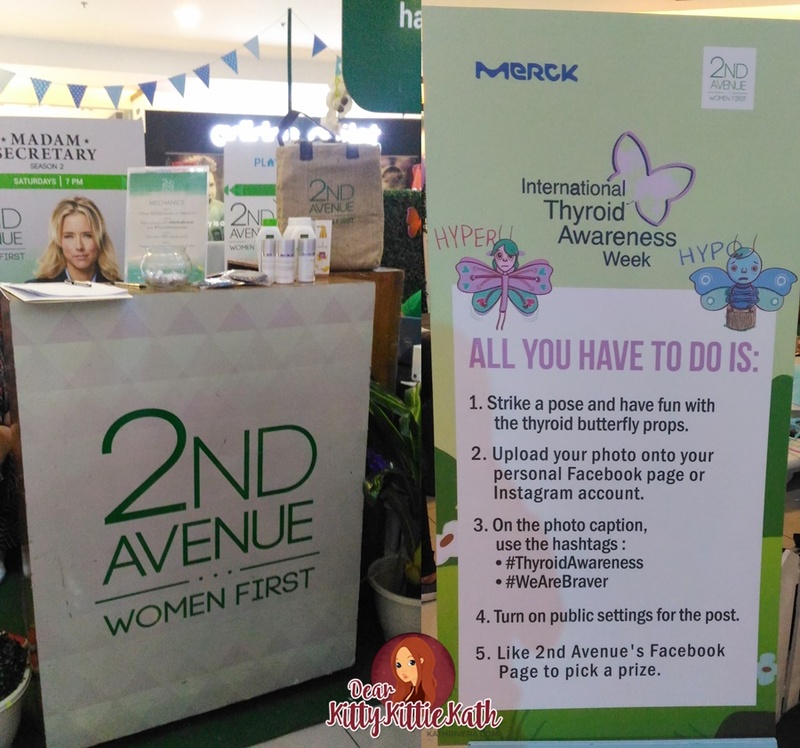 How to self- check your thyroid? Facing a mirror, lift your chin up and inspect your neck. Swallow, and if you see a mass at the base of the neck moving up and down, you may need to consult your doctor for goiter. Also be aware of the symptoms of hyperthyroidism and hypothyroidism, so you can consult a doctor when you note you have them. 5. What are the treatments for hypothyroidism and hyperthyroidism? 6. 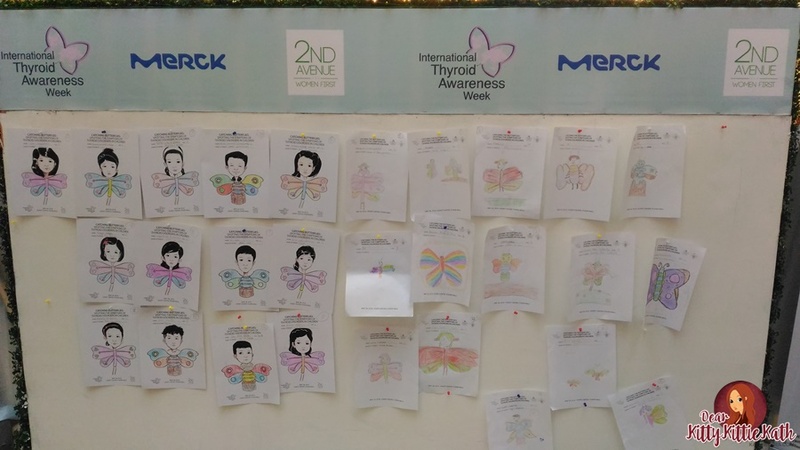 Do children need to be screened for thyroid problems? 7. Do pregnant women need to undergo thyroid problem screening? 8. How will thyroid disorders affect pregnant women and the baby inside their womb? Thyroid disorders, if untreated, can lead to negative outcomes for the mother and child. Conditions like eclampsia and placenta previa can occur. Furthermore, the child might have developmental abnormalities, especially with mental and cognitive abilities. Children with mothers who are iodine deficient or hypothyroid can have lower IQs. Ask your doctor about thyroid screening if you are pregnant. 9. What are the foods that should be avoided if you have thyroid problem? What are the foods that must be included in the diet because it's good for the thyroid glads? 10. Are thyroid disorders hereditary? 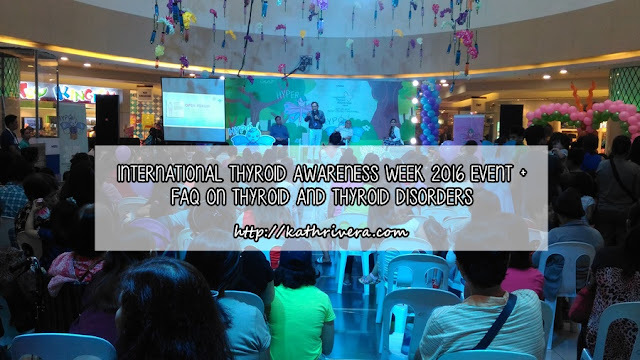 So there you go, hope you find this blog post informative and go ahead spread this information to your family, relatives, and friends so that those who are unaware will be aware and armed with knowledge about thyroid problems and disorders. Early screening will help especially if there is an existing disorder. Thyroid problems and disorders can be treated so don't be afraid. Remember that #thyroidawareness only means #wearebraver and ready to defeat the disorder!